A father has been jailed for nine years after attempting to blackmail two families for vast sums of cash, working alongside his son. Amjed Khan, 39, of Parys Road, Luton, was convicted of two counts of blackmail, as well as two counts of conspiracy to blackmail. His son, Sufian Khan, 18, of the same address, was convicted of the same counts. During the campaign of intimidation, Khan and his son made numerous threats to the families, and even commissioned aggravated burglaries of the victims’ homes in order to extort the funds they demanded. The offences took place over a number of months from December 2016, coming to a head with the break-ins at each family’s property on 7 March 2017. 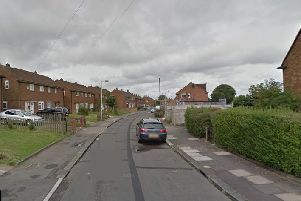 During the burglaries, both in Luton, weapons including a Taser and a noxious spray were carried by the burglars – who detectives could prove had been employed to collect the cash on behalf of the Khans. Detective Constable Tracey Joyce, who led the investigation, said: “This was a complex and challenging case which uncovered numerous attempts by the Khans to threaten, intimidate and use force to obtain huge sums of cash from the innocent victims. Amjed Khan was sentenced to nine years imprisonment. Sufian Khan, who was under 18 at the time of the offences, was spared jail with a two year sentence suspended for 12 months. He was also given a nine-month curfew and 300 hours’ community service. Thanking the victims for coming forward to police, DC Joyce added: “The families were repeatedly approached and antagonised by the Khans and their cronies, who were employed to carry out threats on their behalf.